We’re pleased to have sourced USDA certified organic herbs for use in our herbal formulas. Our unique herbal blends are safe, tested for purity, and used within our clinical practice for over a decade. We now offer on line sales to provide Chinese herbal formulas for your home. 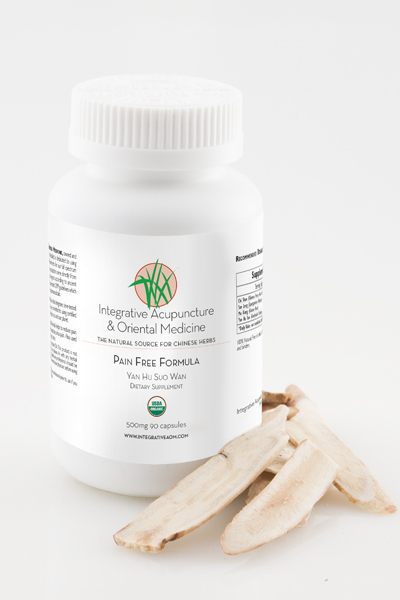 Our Cold & Flu Formula is a combination of two very popular formulas: Yin Qiao San and Gan Mao Ling. 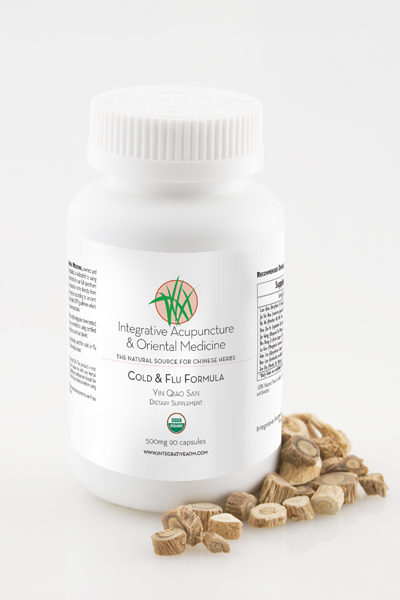 These are two of the most useful formulas in Chinese medicine for helping symptoms of colds and flu. This is a classical, and very old formula, used for pain in the lower body especially in the low back, knees, legs and feet. User report pain from arthritis, weakness and heaviness of the legs, soreness, numbness and stiffness of the back or legs benefit from Back and Knee Formula. In Chinese, this formula is known as Jia Wei Xiao Xiao San. It is based on the classical Bupleurum and Peony Formula, or Free and Easy Wanderer. In Chinese medicine, the liver is responsible for regulating the flow of Qi in the body. Our Stress Free Formula is very effective at soothing the liver energy, which is very sensitive to stress. Liver Qi Stagnation may cause PMS, irregular periods, irritability, and moodiness. 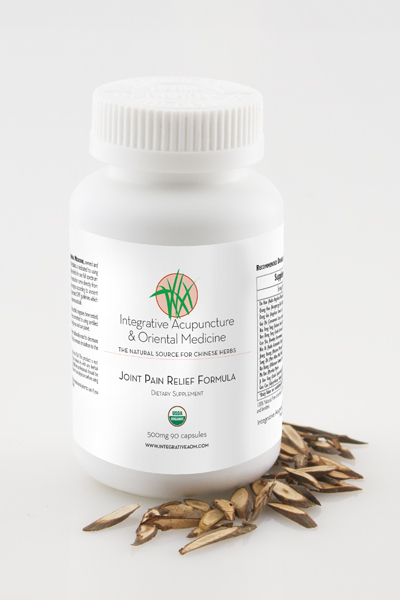 Our Joint Pain Formula is perfect for our patients who need relief from chronic or acute joint pain. Patients report a reduction in arthritis, osteo-arthritits, and rheumatoid arthritis. 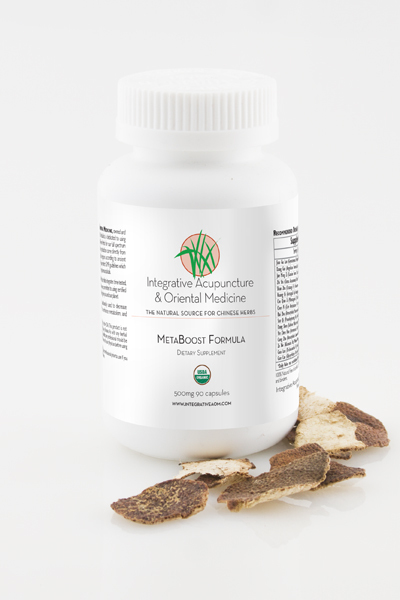 The herbs in this formula may help reduce inflammation or stagnation in the body. Reducing stagnation in the body enhances circulation and the flow of Qi throughout the body. Headache Ease is a wonderful formula which may aid in reducing the pain and discomfort of both acute and chronic headaches. 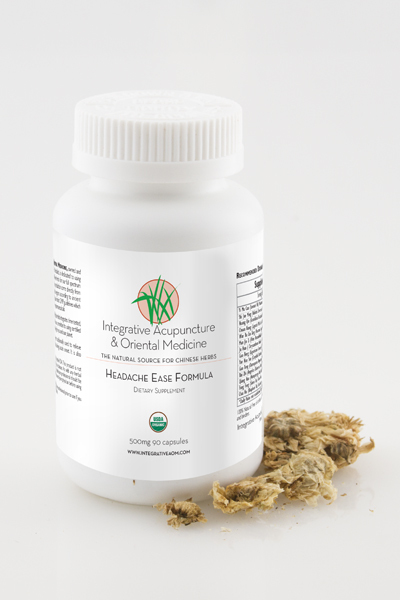 The main herb for pain in this formula is Corydalis Rhizome, which is an effective, safe, and non-addictive herb. Corydalis promotes blood circulation and invigorates Qi making it an important herb for any kind of pain. 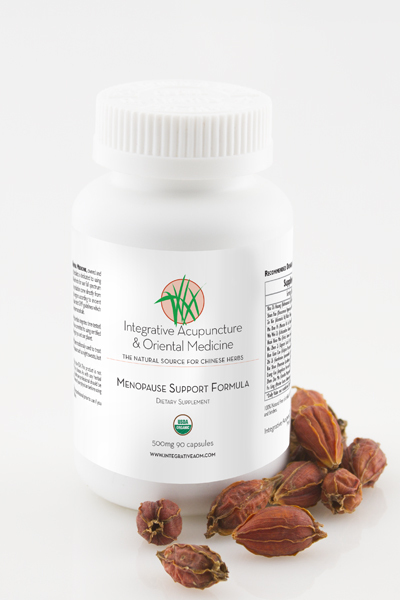 Our Menopause Support formula is constructed to aid our female patients during menopause. This formula may help reduce hot flashes and night sweats. It may also calm mood swings, anxiety and insomnia. Menopausal Support may be useful for reducing vaginal and skin dryness. Metaboost has been used to support healthy blood glucose and cholesterol levels. This formula may also help reduce bloating and gas associated with poor digestion. Patients report a significant reduction in cravings for sugar and carbohydrates with Metaboost. 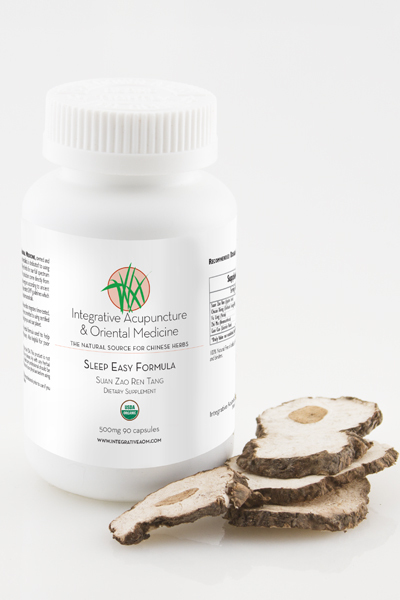 Our Sleep Easy Formula, is based on the classic formula Suan Zao Ren Tang. It is a classic formula for insomnia and anxiety with a very long history of usage.In Chinese medicine, this formula calms the spirit, nourishes blood, and clears heat. The herbs in this formula may improve quality of sleep, reduce night and early morning wakings. Classically used for insomnia with menopausal symptoms, our blend will help reduce anxiety and uneasiness. 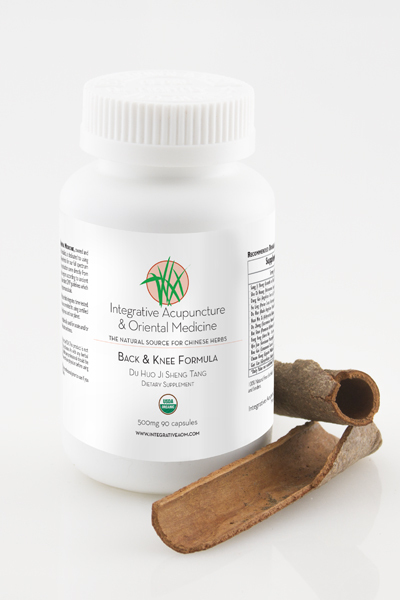 Our Pain Free Formula is based on Yan Hu Suo Wan, a very effective formula to reduce any kind of pain. According to Chinese medicine, pain results when there is qi and blood stagnation. This means that there is lack of movement and proper circulation. Resolving qi and blood stagnation helps treat and eliminate pain at its source by rejuvinating injured issues and restoring normal circulation. Our Allergy Plus Formula is perfect for patients who have nasal congestion, discharge or red eyes associated with allergies. The herbs in this formula may also help reduce sneezing and other allergic symptoms such as itchy eyes, throat and ears. This formula can be taken during the fall or spring allergy seasons. It can also be taken preventatively before an exposure to allergens.